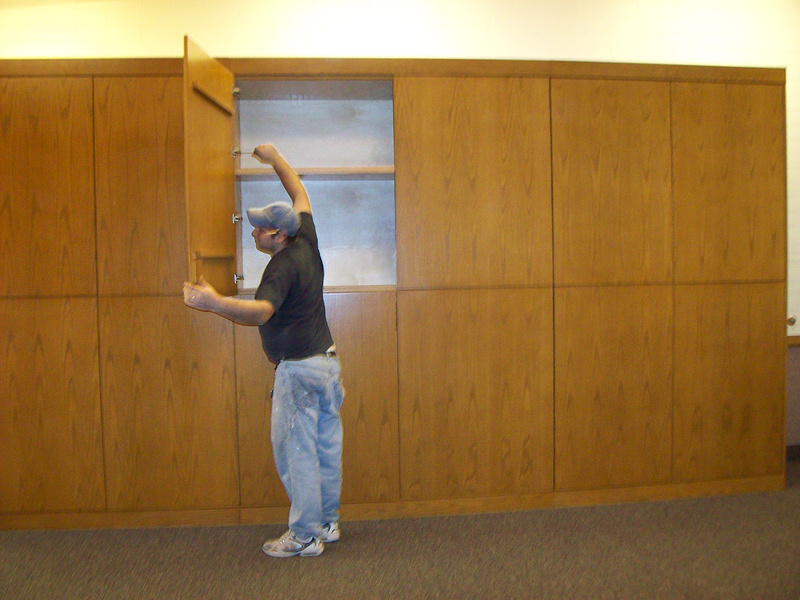 Church storage cabinet. Supplies are stored for Sunday School classes. 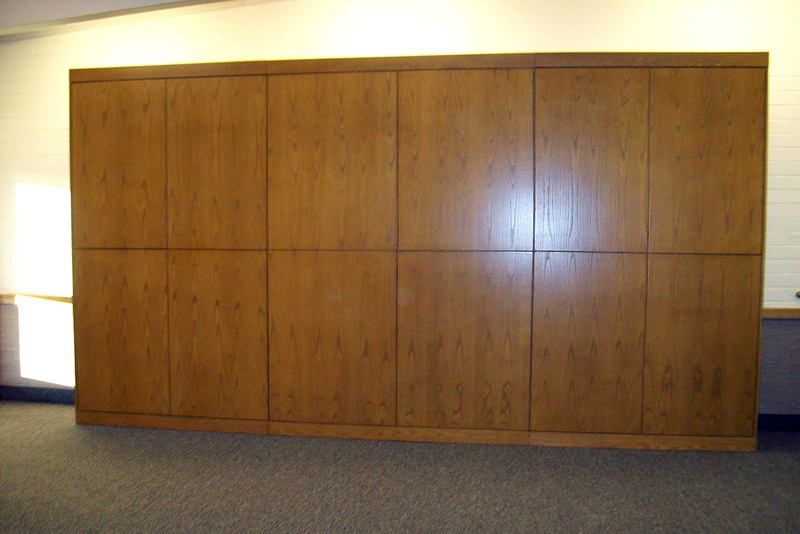 Oak wood, stained with a wood tone Honey Oak finish.